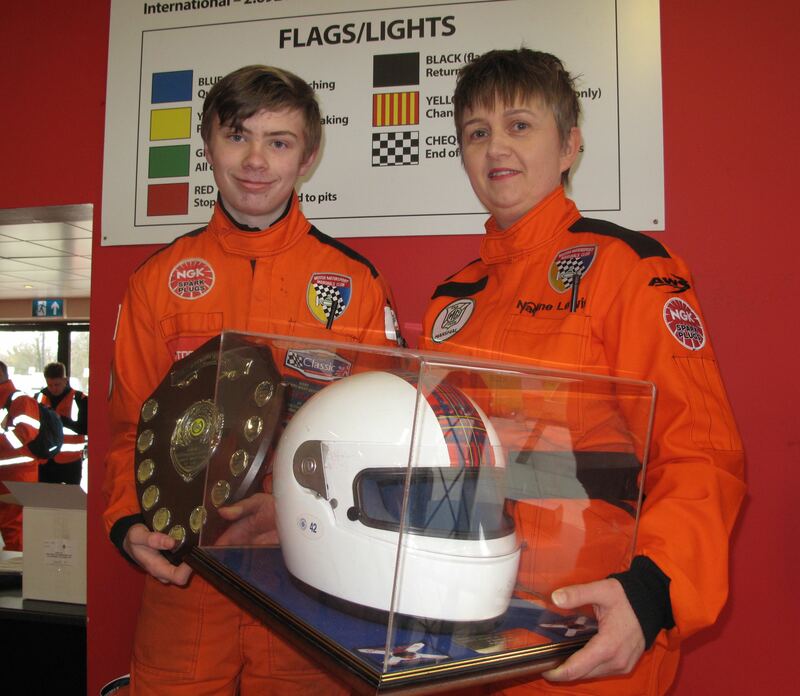 The British Motorsports Marshals’ Club has announced the winner of the David Leslie Trophy for 2018 is North West cadet Harry Mitchell. The David Leslie trophy was established in memory of this multi -talented racing driver tragically killed in a plane crash in 2008. The trophy is one of David Leslie’s racing helmets donated to the club by his family. It is awarded to a cadet marshal for outstanding performance of duties. In his nomination North West Chair Mike Broadbent also cited that Harry was aquiet lad during his first season, but his true personality emerged in 2018. He is “ever ready” to do any and all of the tasks asked of him, is a willing and enthusiastic cadet and a worthy winner. The David Leslie Trophy was also sponsored this year for the first time by Cataclean who are providing an exclusive British Motorsport Marshals Club (BMMC) racing jacket recognising Bill’s achievements, a British Touring Car Championship official merchandise kit as worn by the Rowbottom team and a free set of BMMC overalls. Speaking on behalf of the BMMC, Chair Nadine Lewis said: “It’s great to recognise and reward young marshals who are at the start of what promises to be a long and enjoyable career as a motorsports volunteer and Harry certainly fits that bill.